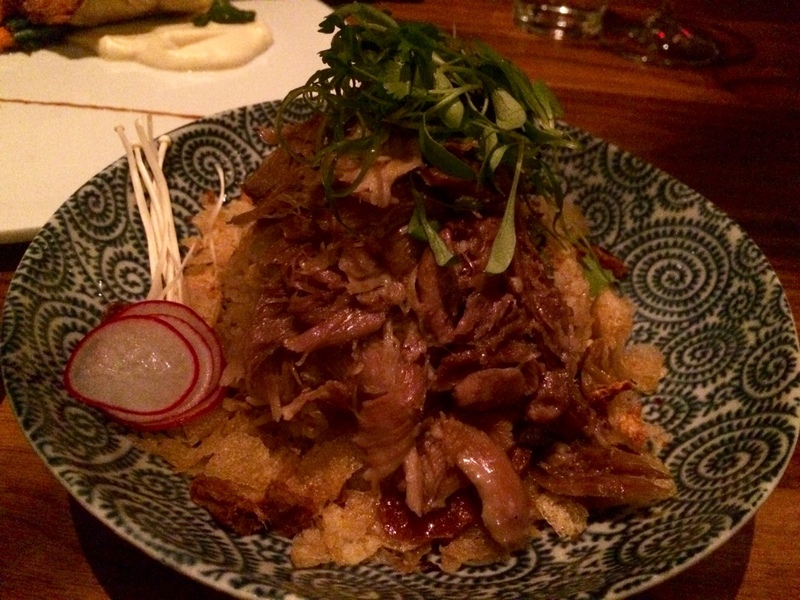 Japanese Inspired Night at Jatoba – Montreal restaurant | Everything Delicious. 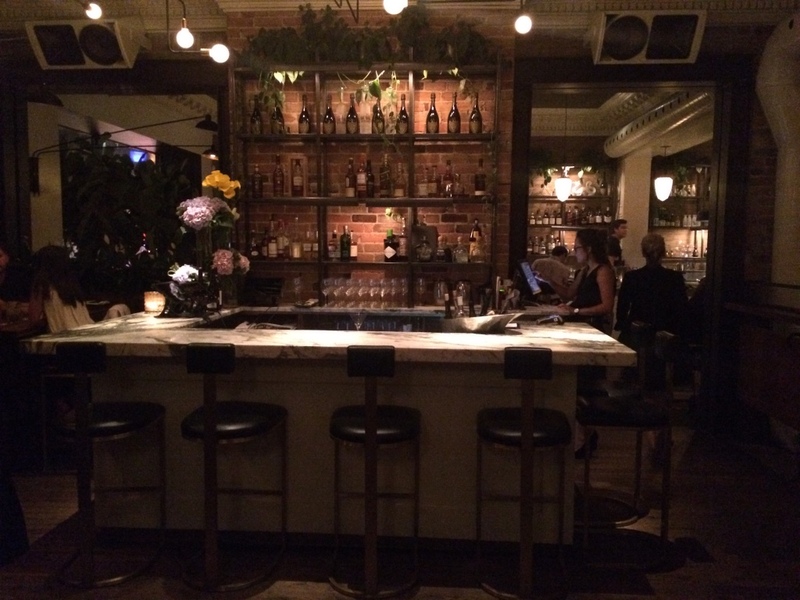 Leaving cold and grey downtown Montreal behind to enter Jatoba is like discovering an oasis in the desert. With exposed bricks, high ceilings and a wall of shelves displaying a selection of Asian objects, it really feels quite zen inside. 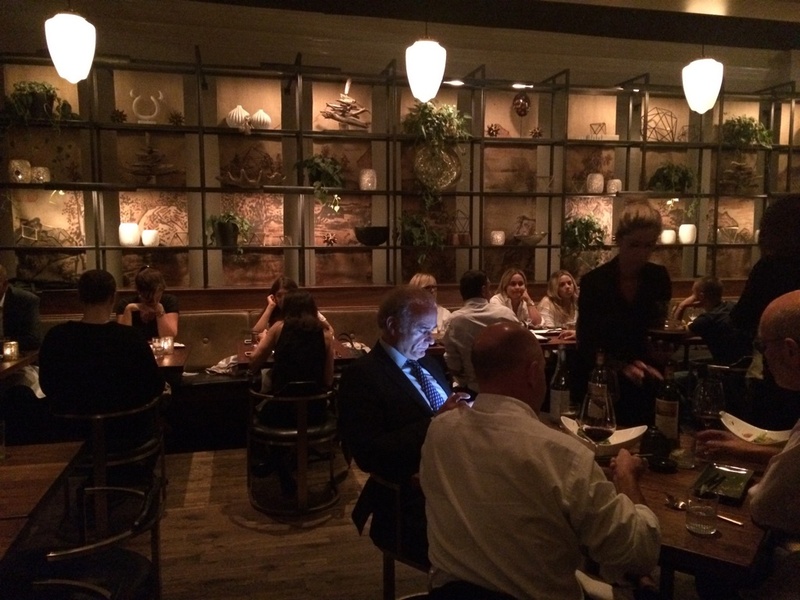 It also looks like the owners found a way to isolate the sound so you can actually have a proper conversation while dining (no excuse for that guy on his phone!). Anyways, a conversation is great, but the food is our priority here, so let’s focus shall we? The Japanese inspired menu is no surprise considering Antonio Park (owner of Park restaurant) happens to be a shareholder at Jatoba. If you are a bit familiar with Asian Cuisine, you’ll find your way around the Asian-Fusion options on the menu. 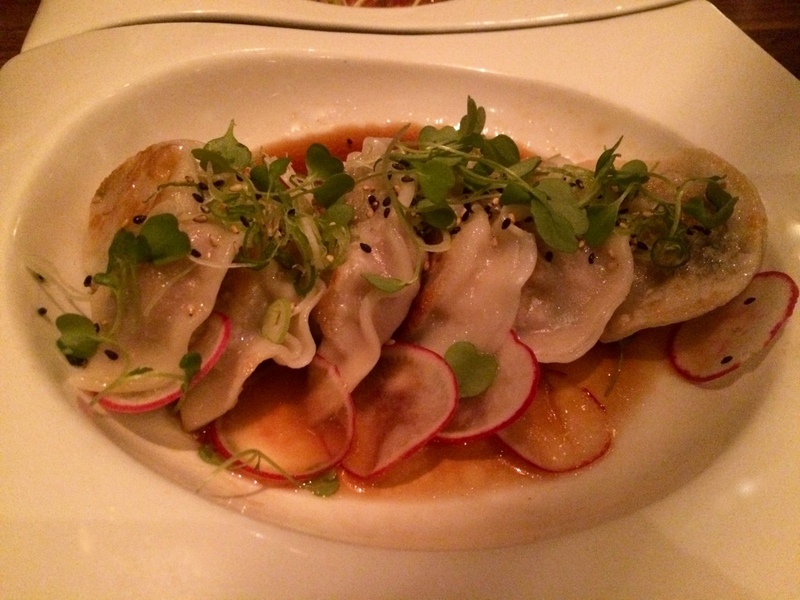 To start, we chose some classics: gyoza and a tuna tataki. Both were good, simple, well executed and refreshing starters ; but pretty unsurprising I would say. 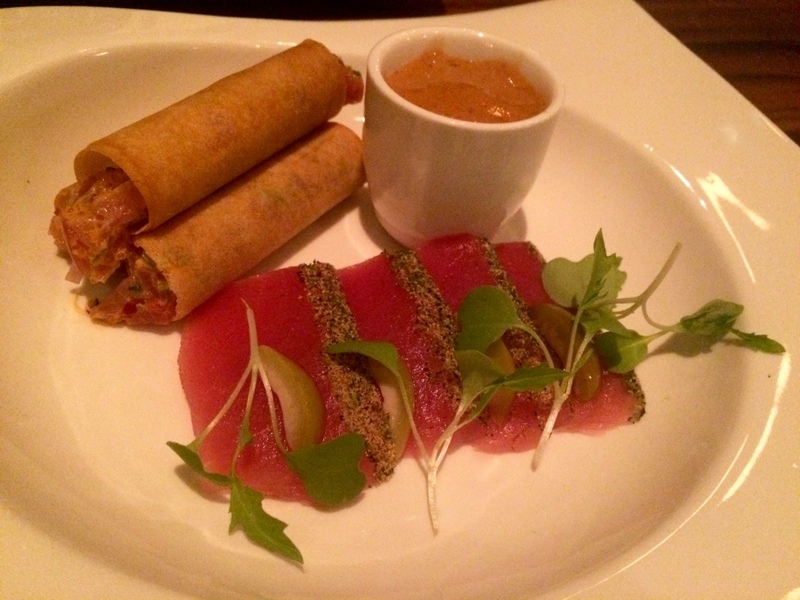 The tune tataki was served with 3 little fried rolls filled with salmon tartare. The mains were a bit more interesting in my opinion. We ordered the Jatoba black cod, the Chinese style beans and a side of a duck fried rice. The cod was delicious, perfectly cooked, just to melt in your mouth! The side purée was also really tasty. I am not a huge fan of celery but this smooth celery purée was amazing. My only comment about this dish would be about its price tag (although I did really enjoy it, I am not sure it was worth $36). 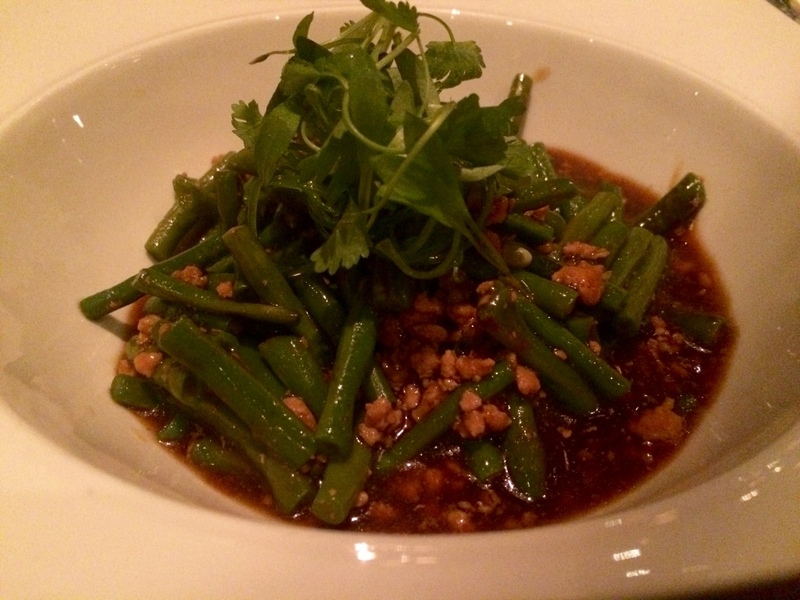 Next up were the Chinese style beans with chili, dark soya sauce and chopped pork. This was nice but very similar to what you’d expect from a typical chinatown restaurant. The duck fried rice which we ordered last just to make sure we’d have enough to eat ended up being our favourite in end. The portion was generous and the plate was full of delicious chunks of duck confit. It was a perfectly re-invented fried rice a la française. I really enjoyed the decor. I think Jatoba found a nice balance between keeping the elegance of the century old building and incorporating modern touches. Definitely want to come back to enjoy the fantastic looking terrace at the back of the restaurant. Good choice in downtown Montreal for a business lunch or a romantic dinner on the terrace. Although, in both cases, it would be even better if your partner was picking up the bill! 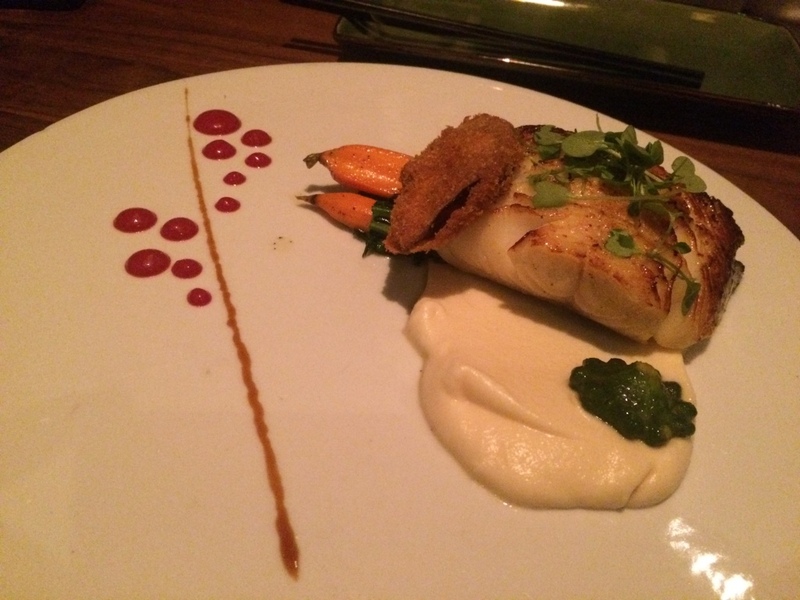 This entry was posted on September 18, 2016 by Pauline Rosen in Restaurant feed and tagged black cod, chinese beans, downtown Montreal, fancy restaurant downtown, fried rice, fusion, gyoza, japanese, jatoba, montreal restaurant, restaurant, restaurant montreal, tataki.